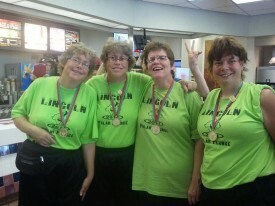 Special Olympics Spring Games are just around the corner across the state and twins Jean and Jan Finn, 51, of Lincoln are looking forward to competing in the Special Olympics Illinois Central/Area 10 games – something they’ve been doing for nearly 30 years. 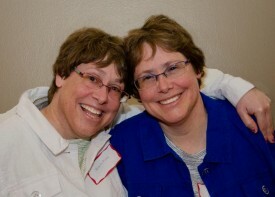 The twins, who live independently together in their own home, are very involved with Special Olympics. They compete in athletics (track and field), T-ball, basketball and have Plunged at the Lincoln Polar Plunge for the past nine years. They work very hard at raising money for the Plunge. They raise their money by asking people at work and in the community. This year they once again raised an impressive amount. Jean raised $813.75 and Jan raised $868.85. “Each year, we try to raise more and more money for the Polar Plunge,” said Jan. Now that Plunge season is over, the girls are preparing for Spring Games. 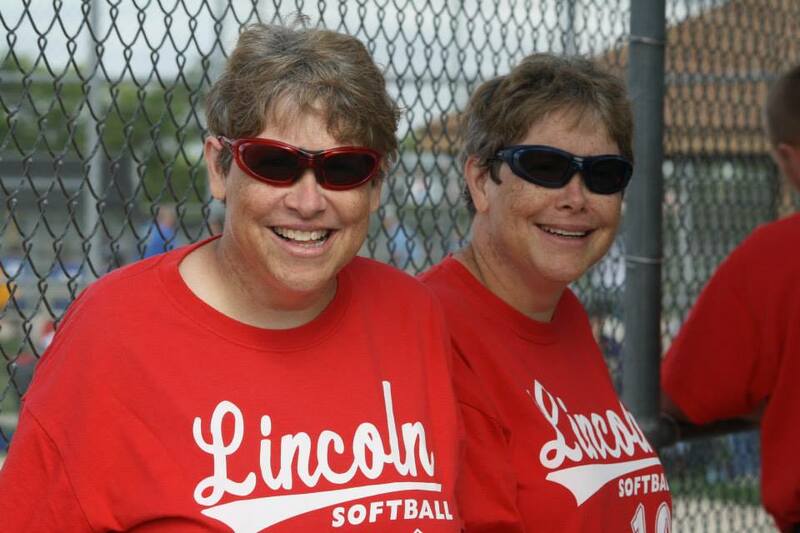 Jean and Jan will be participating in Central/Area 10’s Spring Games at Warrensburg-Latham High School in Warrensburg on May 9. This year, they will both be competing in the standing long jump, and the 4×100-meter relay race. Separately, Jan will be competing in the 100-meter run and Jean will be competing in the 50-meter run. They practice once a week with about 10 other athletes from Lincoln Park District on Sunday afternoons. “At practice, we work on handing off the baton, walk, run and standing long jump,” said Jean. They have won multiple gold medals during Spring Games in the past, and they are hoping their hard work pays off in gold again this year and that they will advance to Summer Games in Normal in June. They both enjoy Spring Games for different reasons. “My favorite part of competing is seeing my friends compete because I like to cheer them on,” said Jan. While Jan enjoys the social aspect of Spring Games, Jean likes to compete. 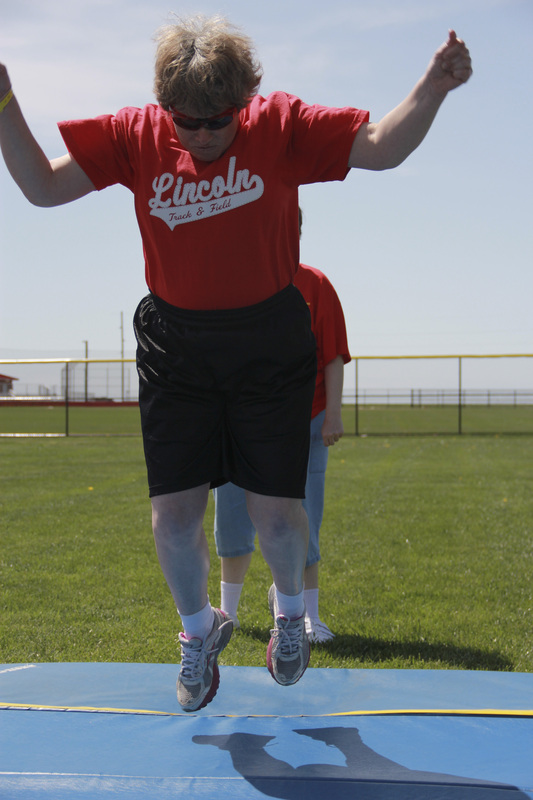 “I like athletics because I like to do the standing long jump, and I love to run,” said Jean. They have seen many changes in Spring Games since they began competing nearly 30 years ago. The biggest change, they said, is the growing number of people with intellectual disabilities who are now participating in Special Olympics and competing in Spring Games. For Jean and Jan Finn, the more athletes, the better – to socialize with and compete against.